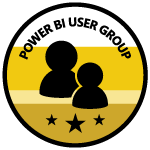 This blog is about Self Service Business Intelligence with MS Power BI & Excel. We discuss topics like Power Pivot, with its powerful language DAX (Data Analysis eXpression), Power Query & M, Power View and Power Map. Furthermore we deal with MS Access and Visual Basic for Application (VBA). I decided to close this blog, and to start a new one under SSBI-Blog.de. You will find the expected post behind this link.